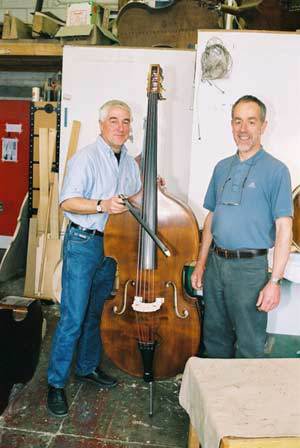 A travel-friendly double bass designed to take up less space and sustain less damage during transit than conventional basses has been developed in the UK. 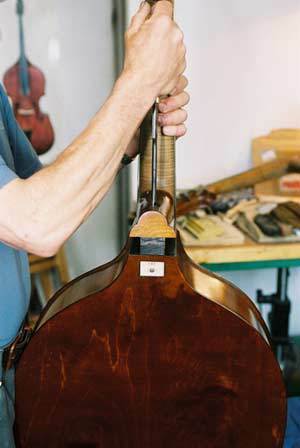 The instrument is flat-backed and has the same neck height, string length and shoulder profile as a conventional 3/4 size bass, but is thinner in depth, making it slimmer and lighter. 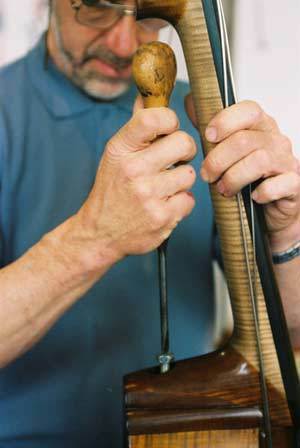 A neck pivot block allows the neck to tip forwards to an upright position, creating a straighter profile, and a wedge is then inserted to hold the neck in this position during transit. 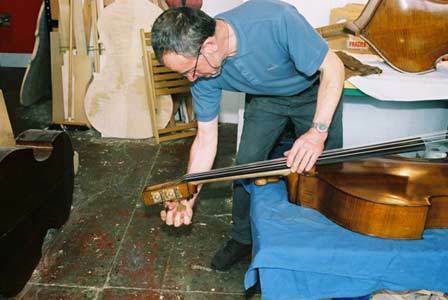 'The great thing about this bass is that everything is already in place. 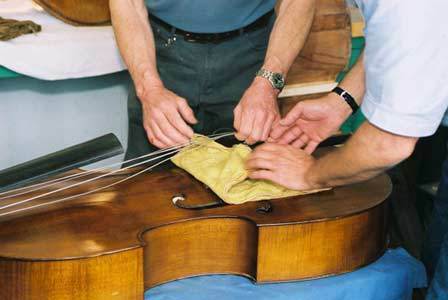 It's only a matter of readjusting and putting the strings back on.' explains Dawson. 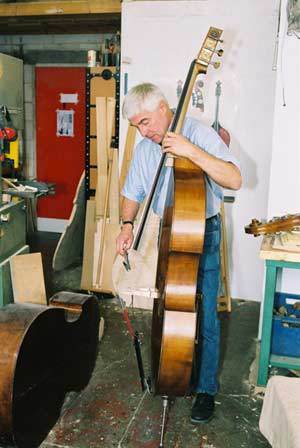 'Magically, the instrument has great resonance and full sound,' adds Guy. 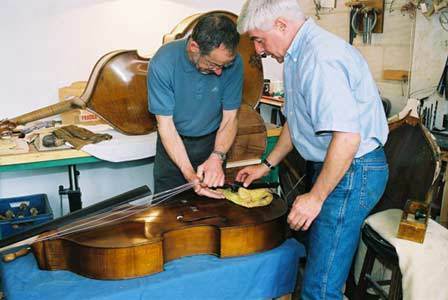 At 8.30 kg the bass is roughly half the weight of an average 3/4 size instrument. The total weight, including soundware, cover and Stevenson trunk is under 25kgs – the standard airline baggage allowance. Its front and sides are made from spruce and maple respectively, with a plywood back. 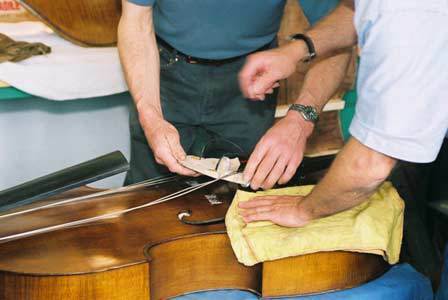 Orders are already being taken for the instrument, which is currently at the prototype stage. Further developments are planned, including a convenient bag to store the bridge in during transit, a lighter, metal neck pivot block, and lighter materials are also being considered. 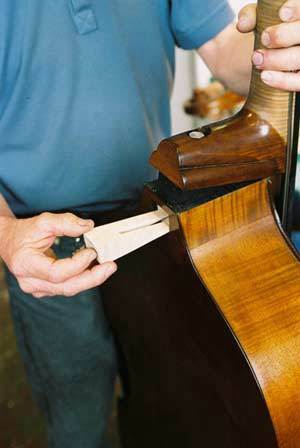 Both four- and five-string versions are available.